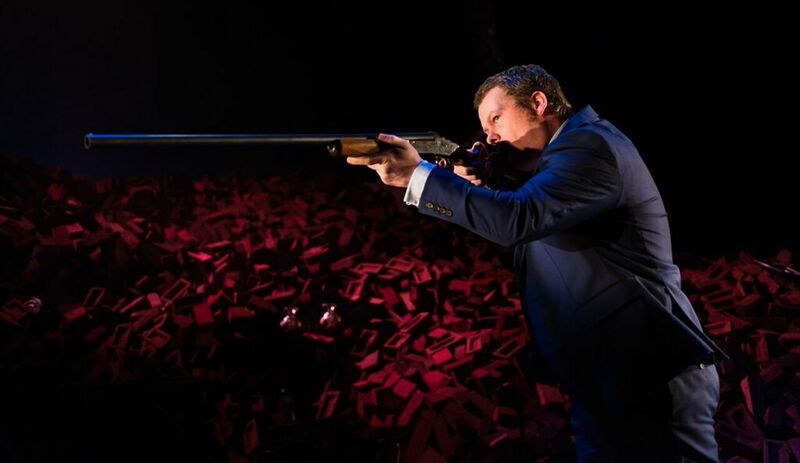 A theatrical adaption of Get Carter is currently running at the Northern Stage theatre in Newcastle. Based upon the eponymous novel by Ted Lewis, the film has been adapted by Torben Betts and the theatre’s director Lorne Campbell. Fans expecting a straight lift of the film may be in for a couple of surprises as the story does take a number of new paths from the film. Most of us, of course, don’t know the book and as the Northern Stage team has gone with both Hodges’ choice of location and title, many Get Carter fans will be expecting to see the film on stage. If they are then they are in for a number of surprises – and pleasant ones at that – which mean we can’t always be sure familar characters will meet a certain fate. That said, it would certainly be a must watch for any fan of Get Carter. Read a review at the Newcastle Chronicle website. The production runs until March 5th 2016 with tickets available now. 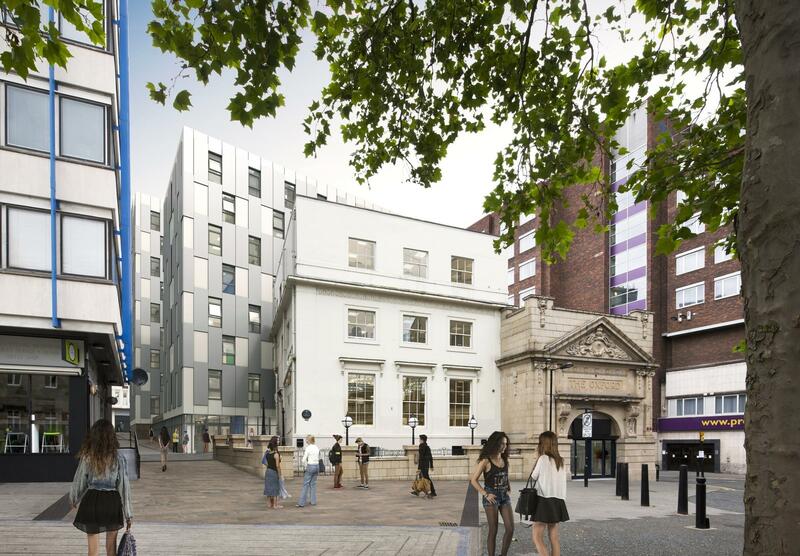 The Northern Echo is reporting that the nightclub featured in Get Carter is to be knocked down and transformed into student flats. The nightclub has had many names in recent years, but to any fans of the film it will always be remembered as the place where Thorpey finally came face to face with Jack (despite that location actually being Newcastle Airport toilets!). A recent visit to the site shows that the demolition is well underway, with the student flats set to open in late 2017. 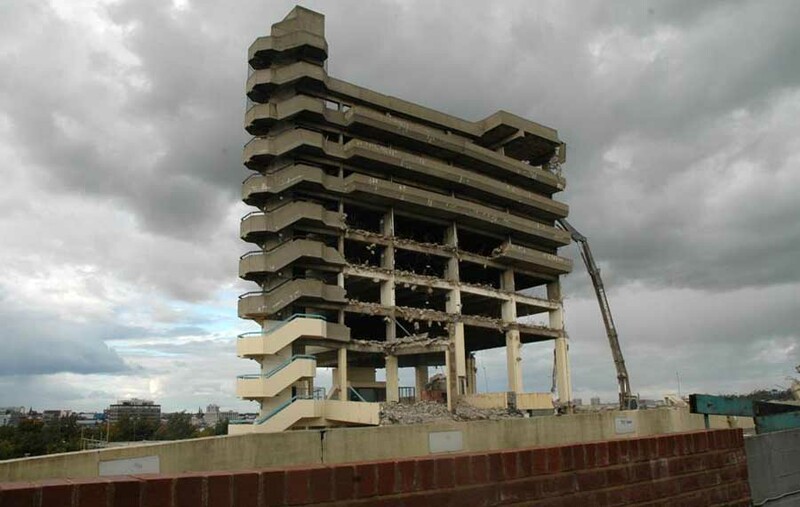 2016 represents five years since the infamous Owen Luder brutalist structure was pulled down, reports the Newcastle Chronicle. The car park had been on a gradual shutdown since 1995 when the upper levels were closed before finally fully shutting its ramp for the last time in 2007. Surprisingly, the demolition didn’t start for another four years, which, whilst great for fans of the film or brutalist architecture, was not so great for local residents as the building truly became an eyesore. Fans of the film were offered the chance to later purchase parts of the rubble for £5 a piece.